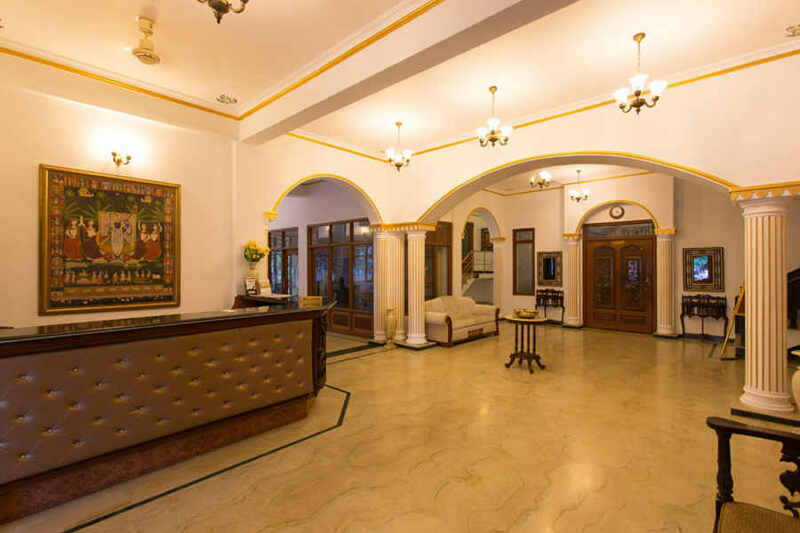 Use the form below to inquire about Exotic Resort Near Fateh Sagar Lake Udaipur . Use the form below to reserve for Exotic Resort Near Fateh Sagar Lake Udaipur . These spacious rooms have private attached balconies offering pool views and queen size beds. 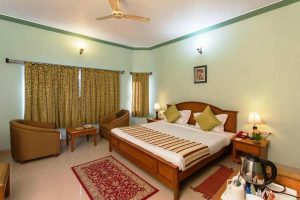 These are spacious rooms with a private attached balcony, separate living room and a bedroom with a king size bed. 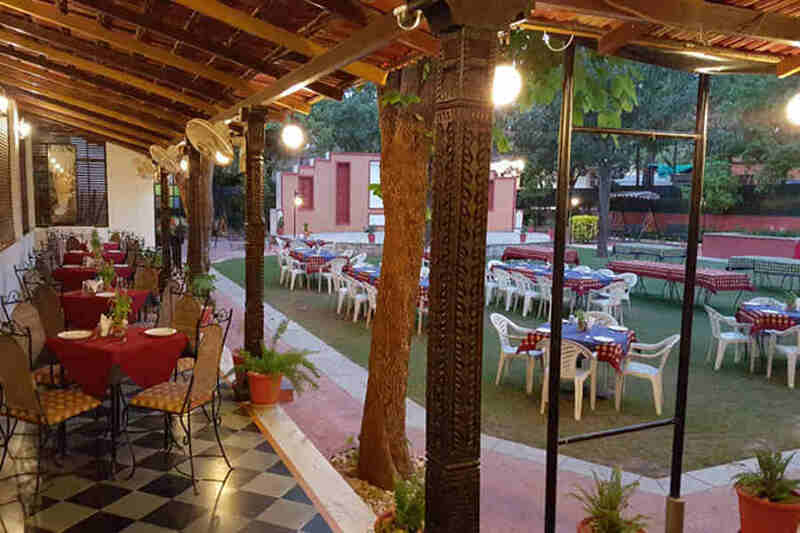 Live an enchanting dream at this Exotic Resort Near Fateh Sagar Lake and explore the richness and romantic air of Udaipur. With the Aravalli mountain range on one side and a water body close by, this Exotic Resort Near Fateh Sagar Lake sits in an envious locality. 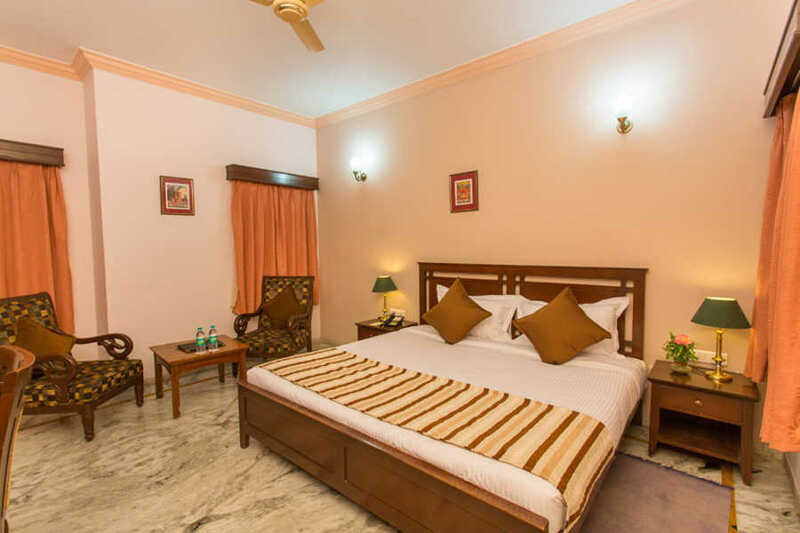 With Fateh Sagar Lake and Sajjangarh Biological Park close by the luxurious provisions at this resort make it the perfect base to explore dreamy Udaipur. The city of lakes has been a favorite with domestic and foreign tourists alike for decades. This resort feels like something straight out of a fairytale. The exterior of this Exotic Resort Near Fateh Sagar Lake features a simple yet modern structure with sleek lines. The landscaped gardens create a magical addition to other spectacular features. The lawn, discotheque, pool, and conference room all make for stunning venues to host events. The vicinity of the huge pool is perfect for networking events accompanied by cocktails. 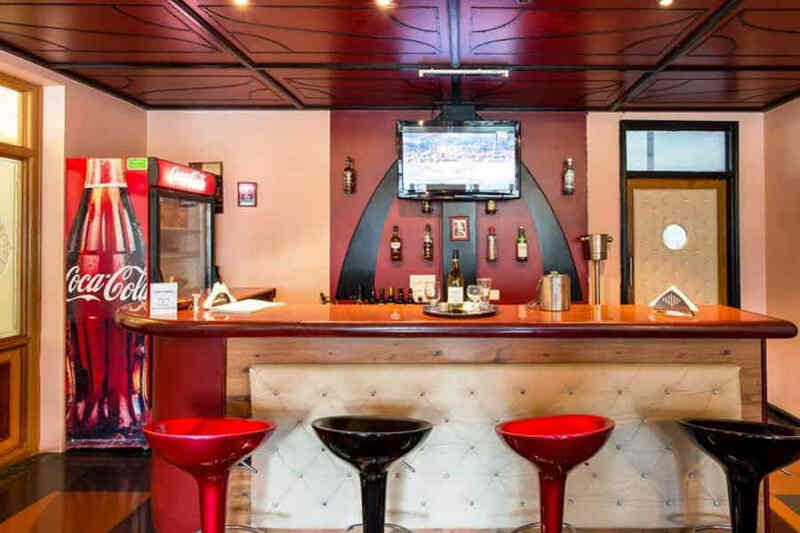 Indoor games and adventure activities such as rope walk and rope climbing make your stay thrilling. Check out the in-house spa for some holistic massages and therapies. There are three different options for you when it comes to dining or bonding with friends and family over drinks and snacks. One is a fine dining option where you can enjoy a relaxing meal with some discreet yet efficient service. 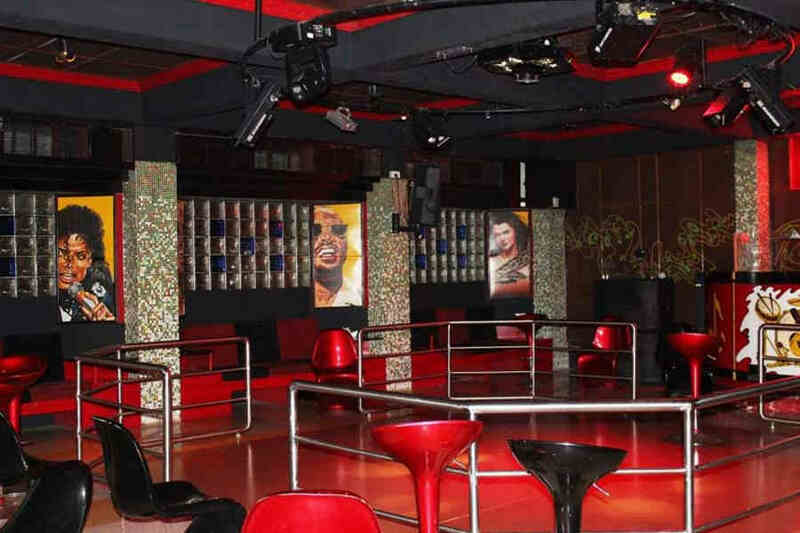 The second has more of a lounge ambiance and the last one gives out the energy of a pulsating nightclub. The 42 spacious rooms in this Exotic Resort Near Fateh Sagar Lake are categorized into Comfort, Royal, and Suite. 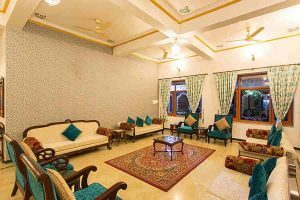 Spread across seven separate blocks, these accommodations provide a peaceful haven with some unique Rajasthani ambiance. Exclusive handpicked furniture and private balconies that offer panoramic views are some distinguishing features of these rooms. A range of activities and luxurious accommodations makes this an exceptional recreational retreat for all. 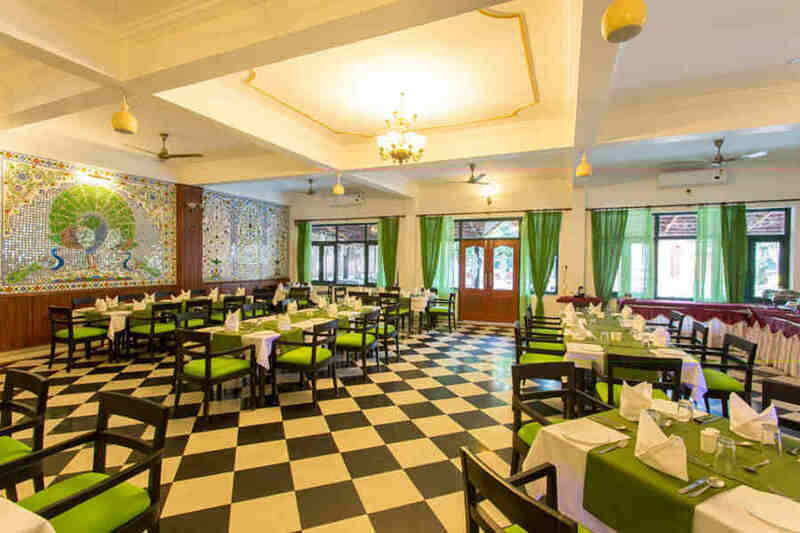 Breakfast, Lunch, and Dinner will be charged at INR 500, INR 600 and INR 300 each. The resort is loaded with activities to keep guests you busy. 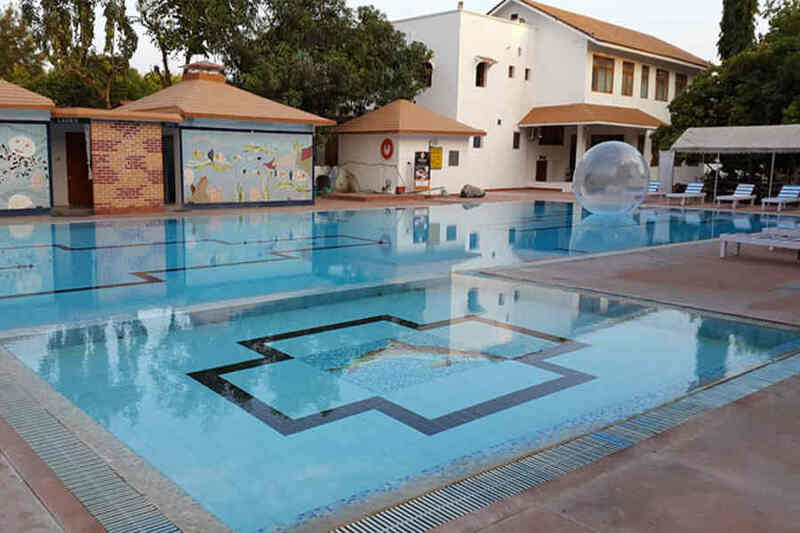 Apart from being the perfect venue for theme weddings and corporate outings, this resort is ideal to just chill out with friends by the poolside or at the disco. The adventure activities here will challenge the daredevil within you. Get pampered at the spa with holistic therapies that will leave your mind and body rejuvenated. Other facilities within the spa include a fully equipped gymnasium, sauna, steam bath, and whirlpool. Enjoy a game of badminton, football or basketball on the lawn. Beyond the premises of the resort, Udaipur beckons you with treasures left by the rich Maharaja era in the form of palaces and also stunning lakes. You can go cycling beside Lake Fateh Sagar which is a jaw-dropping sight with the majestic hills lining it. Udaipur City Palace towering over Pichola Lake and Jag Mandir, the exotic palace built on Pichola Lake are positively breathtaking. Don’t miss the Lake Palace while you are at it. Udaipur Solar Observatory is also not to be missed. Explore Sajjangarh Palace also known as the Monsoon Palace and Sajjangarh Biological Park. Udaipur Airport which is 26 km from the property is the closest. Ahmedabad airport is at a distance of 256 km while Indira Gandhi International Airport, New Delhi, is 640 km away. Udaipur city railway station is the nearest at 6 km. Ranapratap Nagar railway station is at a distance of 8 km. New Delhi railway station is at a distance of about 653 km. Udaipur city is 5 km from the property via Fateh Sagar Road. Mount Abu is 158 km along NH27 while New Delhi is 650 km along NH 48 and NH58.